Carolyn Eugene Parr, 70, of Hazen, passed away Tuesday, October 30, 2018. 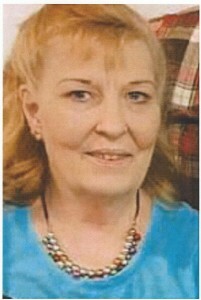 She was a member of the First Baptist Church in Hazen and she was the ultimate caregiver. She went to the nursing home everyday to spend time with her daughter, Monica. Carolyn was preceded in death by her husband, Jimmy Parr; father, Cecil Lane and brother, Melvin Lane. She is survived by her mother, Dorthea Lane; two sons, Keith (Debra Lee Perry) Parr and Travis (Donna) Parr both of Hazen; two daughters, Paula (Burl) Kimbrell of Stuttgart and Monica Crossom of Carlisle; 9 grandchildren and 2 great-grandchildren. Funeral services will be 2:00 P.M., Friday, Nov. 2, 2018 at the Center Point Baptist Church. Visitation will be from 5-7 Thursday, Nov. 1, 2018 at Westbrook Funeral Home. Burial will be in the Center Point Cemetery. The Lord called “Buddy” to Hog Heaven on October 28, 2018 at the age of 74. Buddy was born on August 9, 1944. He was a resident of Hazen and a life-long member of the Hazen First United Methodist Church. He represented his local community extremely well as a member of the Arkansas Razorback football team from 1962-1965. He was also a member of the 1964 National Collegiate Football Championship Team. During this same time period, Buddy married the love of his life, Marilyn Grady. Buddy and Marilyn were inseparable for the next 54 years as they raised two children (Bill and Melanie), and eventually multiple grandchildren and great-grandchildren. Buddy was an avid Razorback fan and spent countless hours cheering on the Hogs no matter what sport they were playing. His love for the Hogs was never questioned; however, his love for family exceeded all. Buddy transformed from a Razorback, to a husband, dad, and ultimately, to the man those closest to him called “Big Dad”. The most important thing in Big Dad’s life was family and all of his babies. “Big Dad” was a formidable man and was larger than life in many ways. His impressive physical stature and his over exuberant personality caused confusion to many, but those that knew him best saw him and loved as the gentle giant that he truly was. Buddy is survived by his wife, Marilyn; daughter, Melanie (Kelly) Konecny and grandchildren Chandler, Connor, Chloe and Carson Konecny; grandson, Bryce (Elaina) Sims and great-grandchildren, Eden and Garner Sims; and God-given children, Davy, Angie, Brenon, Brayden, and Brance Williams; sister, Melinda Sims; brother, Chuck Sims; brother-in-law, Larry (Sue) Grady; and several loving nieces and nephews. Buddy was preceded in death by his parents, Irvin and Alyeene Sims and; son, Billy Frank (Bill) Sims, Jr; and brother, Burk Sims. Visitation will be held from 5:00 P.M. – 7:00 P.M. on Tuesday, October 30 at the Westbrook Funeral Home in Hazen. A funeral service in memory of Buddy will be held on Wednesday, October 31, 2018, 11:00 A.M. at the Hazen United Methodist Church, 211 North Hazen Avenue. Memorials may be sent to the Hazen First United Methodist Church. Geraldine Patrick, 85, of Hazen, passed away October 23, 2018. 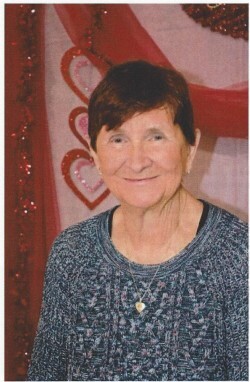 She was a member of the First United Methodist Church in Hazen. Geraldine is survived by her son, Ricky Avants of Hazen; her brother, Dale Perry and two grandchildren, Jason Avants and Caleb Holloway. Visitation will be Thursday, October 25, 2018 from 5:00 to 7:00 P.M. at Westbrook Funeral Home in Hazen. Funeral services will be 2:00 P.M., Friday, October 26, 2018 at the First United Methodist Church in Hazen. Burial will be in the Hazen Cemetery. Loretta G. Inman, 87 of Carlisle, passed away October 20, 2018 at Springhill Baptist Medical Center. Loretta grew up in Detroit, Michigan where she was the state champion speed roller skater. She moved to Waldo, Arkansas when she was 16 and graduated from Waldo High School. After graduation, she attended college at Henderson State Teacher’s College (now, Henderson State University) in Arkadelphia where she met her husband, Dr. Robert L. Inman. While at Henderson State, she was an ROTC sponsor and a runner-up in the Miss Arkansas Pageant. Loretta was a retired school teacher and her husband’s “right hand” at their family practice, Inman Dental Clinic. Loretta was preceded in death by her husband, Dr. Robert Inman. She is survived by her three sons, Robert Inman, Jr., Dr. Tommy Inman and wife, Cindy, and Dr. David Inman and wife, Ashley all of Carlisle; her daughter, Kathy McLaughlin and husband, Bob of Plano, Texas; four grandchildren, Julie (Stephen) Young, Jana (George) Cress, Tommy Inman, Jr. and Bobby McLaughlin and two great-grandchildren, Caden and Corbin Young. There will be a graveside service at 10:00 A.M., Tuesday, October 23, 2018 at the Carlisle Cemetery. The family would like to extend a special thanks to the staff at Springhill Baptist for the wonderful care given to their mother. Carlotta Sue Linam, 70, of Hazen went to be with the Lord October 12, 2018. Carlotta was born August 4, 1948 to Roland and Lottie Jenkins. Carlotta was preceded in death by the love of her life, Walter Linam, son, Terry Linam, brother, Bruce Jenkins, and her parents, Roland and Lottie Jenkins. Carlotta is survived by her son Jeff Linam (Marsha) of Hazen; sister, Kathy Cook (Bruce) of Marshall, special friend, Doug Latch of Conway; her grandchildren, Jessica Linam, Michael Alonzo Kelly (Ashlee), Jeffrey Ty Linam, Katie Segalla, and Alex Segalla; two great-granddaughters, Claire Kelly and Kayleigh Robinson and a host of nieces and nephews. Visitation will be Saturday, October 20 from 1:00 to 2:00 P.M. at Lakeside Missionary Baptist Church in Des Arc followed by a memorial service at 2:00 P.M. at the church. George Samuel Palsa, 74 of Carlisle, died October 13, 2018 at his home. He was a retired farmer. George is survived by his partner, Maurissa Red; two sons, Brent Palsa and wife, Andrea of Hazen and Barrett Palsa and wife, Michelle of Carlisle, brother, Jerry Palsa and wife, Portia of Des Arc; sister, Elsie Raborn of Hot Springs and two grandchildren, Trenton and Abby Palsa. 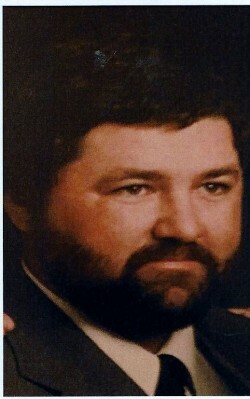 Patrick “Pat” Vincent Hatfield, Sr.
Patrick “Pat” Vincent Hatfield, Sr., 63 of Des Arc departed this life on Friday, October 5, 2018. Patrick was born June 14, 1955 in Stuttgart, Arkansas and was the eldest son of Raymond H. and Elizabeth Fischer Hatfield. He graduated from Catholic High School for Boys in 1973 where he served as a manager for the football team, the Rockets. He was a member of the Catholic Youth Organization (CYO) and served on the Outside team for CYO Search for Christian Maturity for many years. Pat was a parishioner of Sts. Cyril and Methodius Catholic Church in Slovak. He was a Fourth Degree member of the Knights of Columbus Slovak Council #3998, serving as Grand Knight, as well as other offices. 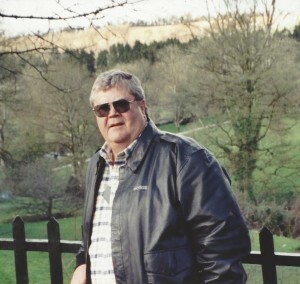 He farmed alongside his father-in-law, Cyril Plafcan, from 1977 to 1995. He was on the Board of Directors for Farmers Aerial Seeders for many years. He also participated in the Young Farm Couples Organization in the early 1990’s and was chosen to travel to St. Paul Minnesota for their annual convention. He was a member of the Stuttgart Auxiliary Police force and later volunteered as a Deputy Sheriff in Prairie County. Mr. Hatfield retired from farming in 1995 and began working for the City of Stuttgart in the mechanic shop. He was also night watchman at the Stuttgart Municipal Airport for many years. He then returned to farming with his cousin, Mark Lisko, until a back injury caused him to officially retire. Besides his parents, he was preceded in death by his paternal grandparents, Harvey and Mary Jane Hatfield and maternal grandparents, George and Matilda Fischer. He was also preceded in death by three brothers, Johnny Steven Hatfield, Paul Chester Hatfield, and Raymond Hatfield, Jr., and a son, Christopher Michael Hatfield. Pat is survived by his three children, Sarah Marie Hatfield of Slovak, Patrick “Rick” Vincent Hatfield, Jr. (Nancy) of Conway, and Katherine Hatfield Neblett (Leo) of Little Rock.He leaves behind one sister, Phyllis Hatfield LoPorto of Keo, and one brother, James Hatfield (Kim) of Lawton, Oklahoma. Pat is also survived by his first grandson, Sebastian Matthew Hatfield, (infant son of Rick and Nancy) born September 29, 2018, as well as a host of aunts, uncles, nieces, nephews, and friends. He had a special fondness for his aunts Virginia Fischer Lisko and Martha Hatfield Hosto. Funeral services officiated by Father Shaun C. Wesley, will be at 1:00 P.M., Saturday, October 20, 2018 at Sts. Cyril and Methodius Catholic Church with burial of cremains at St. Cyril and Methodius Cemetery by Westbrook Funeral Home of Hazen. Memorials may be made to Catholic High School of Little Rock and Sts. Cyril and Methodius Catholic Church, Slovak. Weston “Wes” Floy Woods, 87, of Carlisle, a United States Air Force retiree and retired school teacher, passed away at the Baptist Health Medical Center in North Little Rock on October 5, 2018. He was born in Brownwood, Texas to John and Minnie Woods. Wes was preceded in death by his wife of 61 years, Ruth Woods; parents, John and Minnie Woods; brothers, Joel, Burl, and Delmer and sister, Connie. He is survived by his sons, David (Shelia) Woods of Carlisle and Mark (Denise) Woods of Spring, Texas; grandchildren, Jennifer Woods of Miami Beach, Florida, Sara (Andrew) Silverman of Carlisle; Stephen (Candice) Woods of Rosenberg, Texas, Emily Woods of Carlisle, Daniel Woods of Riyadh, Saudi Arabia, Phillip Woods of Kansas City, Missouri; great grandchildren, Jackson, Parker, Bennett, and Riley; brother, Curtis Woods of Tiega, Texas and a host of nieces nephews, and many other wonderful relatives. Wes graduated from Brownwood High School in 1949, joining the United States Air Forcce the same year. While in the Air Force, he met and married Ruth, the love of his life. During the years in the service, Wes and Ruth had their two sons and moved to many different locations around the country and Puerto Rico. Wes also served a year in Vietnam in 1965. After retiring from the Air Force, Wes moved the family to Brownwood, Texas where he graduated from Howard Payne University with a teaching degree. After graduation, the family moved to Carlisle where Wes and Ruth began teaching at Humnoke Elementary School. Wes taught there for 17 years before going to Brinkley to finish his career. 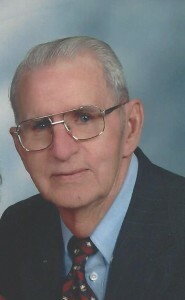 Wes was a long-time deacon and choir member at the First Baptist Church in Carlisle. He also served his community as a long-time member of the Carlisle Lions Club and the Carlisle Chamber of Commerce. Visitation will be from 5:00 to 7:00 P.M., Tuesday, October 9, 2018 at Westbrook Funeral Home in Hazen. Funeral services will be 1:00 P.M., Wednesday, October 10, 2018 at the First Baptist Church in Carlisle with burial in the Hamilton Cemetery. The family requests memorials be made to the First Baptist Church in Carlisle.